Many think that 3D printing is that very innovation. 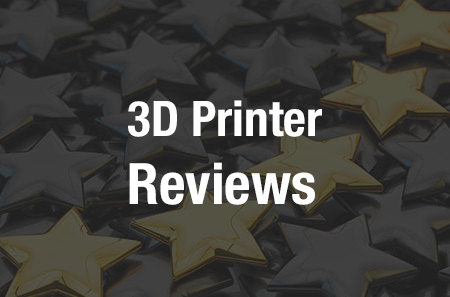 Heading into 2015, 3D printers are dropping in price and increasing in capability. 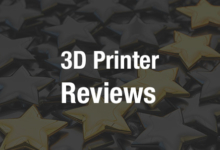 Let’s take a look at some fascinating 3D printed creations that may very well change the world as we know it. You may have heard of 3D printed organs already and 3D printed spinal disc replacements, but now California-based biotech firm Organovo is set to begin selling 3D printed liver tissue by the end of the year, according to CNN. Before you start doubling-down on happy hours and spiking the holiday eggnog, understand that functioning 3D organs are still at least a decade away. However, researchers at Harvard and Sydney University have discovered how to fabricate blood vessels. This means doctors can perform tests using these replica organ tissues that would never be possible with human subjects. If you’re a skeptic who needs results and not possibilities, medical 3D printing should still interest you. Wired magazine summarized six successful 3D printed body part surgeries, including a cranial plate and jawbone. Imagine you return home late one night after drinks with friends. But instead of dialing your favorite late night pizza joint, you fire up your PizzaMaker 5000 and 3D print a New York style pepperoni pie. Just like other 3D printing science fiction scenarios — this one isn’t far from reality. A NASA-funded 3D food printer showed its pizza potential last year at SXSW, then went into overdrive. The industry has endless potential, from MREs for the military and astronauts to increasing food sustainability worldwide. One of these devices is the Foodini, created by Natural Machines. The founder describes the machine as a mini food manufacturing plant shrunk down to the size of an oven. Although the company doesn’t plan to mass produce until the second half of next year, Natural Machines plans to unveil a consumer model for $1,000 and even a future model that prints cooked food that’s ready to eat. The world of 3D printed guns has been accelerating since The Liberator, a plastic 3D firearm, was unveiled in May 2013. The gun was dismissed by the ATF via a video showing the rifle exploding, but those claims were subdued as the technology evolved. In December 2013, Business Insider contributor Gilman Louie detailed how he built a working AR-15 using a 3D printed lower receiver, the foundation of the rifle. The AR-15 is a platform with all of the parts being removable allowing for complete customization. Louie was able to attach assorted AR-15 accessories to his 3D printed lower receiver for a functioning firearm. Just as medical researchers are expediting the potential of 3D printed organs, ambitious engineers are doing the same with 3D printed guns. A 25-year-old machinist, Michael Crumling, has developed 3D printed ammo which increases the longevity of The Liberator and other 3D printed guns. Where these firearms usually overheat or explode quickly, Crumling was able to shoot 19 rounds with his specially designed ammo. Legalities aside, the potential of 3D printed firearms is vast and will only continue to evolve. Mini People: Ever wish you had a figurine of yourself sitting on your mantle? Probably not, but just like smartphones, 3D printing is creating desires we never knew we had. German company Twinkind prints mini humans in nine different sizes ranging from 1:5 to scale to 1:24. The 1:24 model will cost around $120. An extra fee for digital cosmetic surgery will buy you a six-pack or Botox injection. Other companies are also developing mini figures of real people. Homes: 3D printing isn’t limited to small creations. A Chinese company created 10 single-story homes in under 24 hours. The 3D printer involved took 12 years to develop and measures 33 x 22 feet. Crayon Creations: We’ve all had a great doodle hung on the fridge, but now it can be immortalized forever. Crayon Creatures will 3D print any drawing and transform it into a sandstone figurine for $130, plus shipping. These items are just the beginning of 3D printing. Cars, guitars, phone cases, mechanical components, clothes and bicycles have been 3D printed. To top it off, RepRap is a 3D printer that prints 3D printers. Is that print-ception?